Agates are some of the most common stones on the planet. In fact, thousands of different agates have been named and cataloged throughout the world. Some are named for their colors, others for the way they were formed, and still others for specific locations. 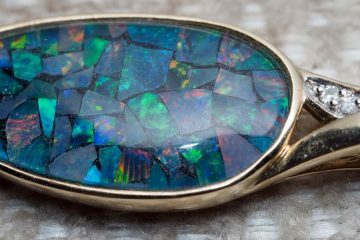 Let’s take a look at several different types of agates which were named according to the way they were formed and the distinctive patterns that they display. Fortification Agate. This is the most common and recognizable type of agate. Bands of color form concentrically surrounding a hollow cavity (sometimes there is a minimal cavity or no cavity). The name is derived from the appearance of the bands. 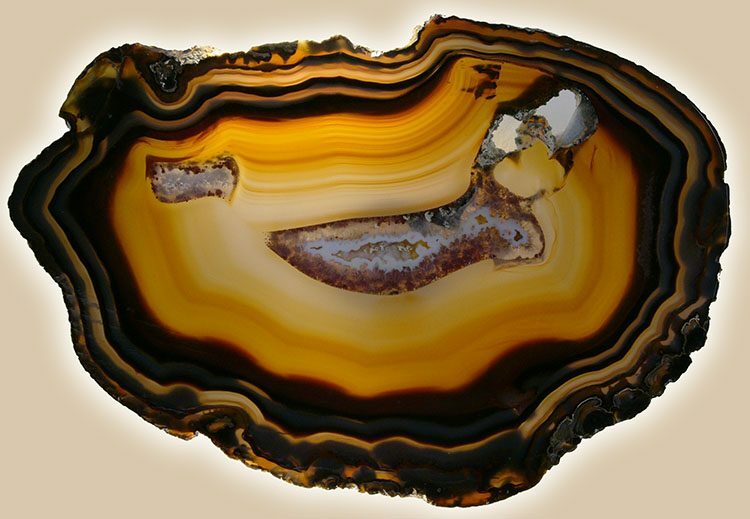 If you cut one of these agates in half and look down on the bands, they will appear like a fortification structure around the cavity in the center. Water Line Agate. This type of agate may also be known as Water Level agate. This type of agate forms in such a way that gravity is permitting the bands to form in straight parallel formation in one direction. Shadow Agate. When you pick up a piece of agate formed in this manner, you may notice a strange illusion. When you move the piece around, you may see a peculiar shadow that seems to move across the layers. You will notice that the bands of color alternate between translucent and opaque. This causes an unusual optical effect inside the stone, resulting in the moving shadow. Tube Agate. With Tube Agate formation, extremely thin mineral rods grow inside the silica gel before the gel solidifies and the chalcedony forms. Sometimes these rods remain as inclusions, while other times they hollow out and fill with silica. They are visible as tube-like formations inside the resulting agate. Plume Agate. These agates have intriguing patterns that may look a bit like ferns. 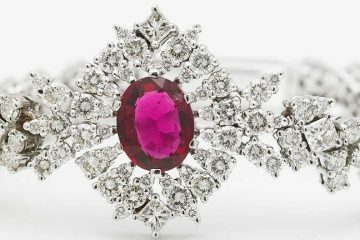 They are the result of formations existing on the outside of the stone before the chalcedony deposits grew. Later, the formations fell away, but the inclusions from them remain to mark their past presence. Moss Agate. 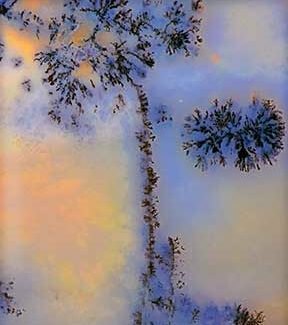 Similar to the plume agate discussed above, moss agate may have formations of inclusions which resemble ferns, trees, moss, or landscapes. The inclusions are usually formed out of iron or manganese oxide. These types of agates may not have any chalcedony bands, because the elements involved in the inclusion formations may inhibit their growth. Geode Agate. These are related to fortification geodes. 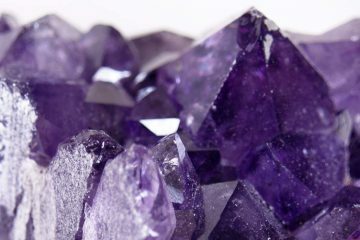 They have hollow centers, owing to the silica-water gel mixture running out before the entire stone was able to fill in. 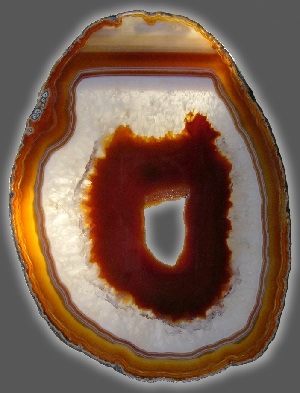 Many have agate banding around the hollow interior, like the fortification agates. Not all do, though. There may or may not be a wall of crystals inside surrounding the hollow space. Seam Agate. These agates do not form in round pockets, but rather in narrower gaps within a rock. They typically have rows of chalcedony bands, but are unlikely to form those bands in a circular fashion or have any special interior. Now you know more about how different types of agate form, and how so many related stones can appear so different and have such distinctive properties. 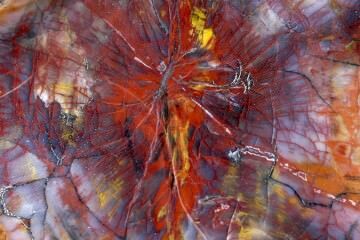 Depending on the specific conditions involved with the formation of an agate, the appearance and inclusions can be quite unique. And that’s why there are thousands of types of agates!